When giving users fixed options as an input UI, we understand that buttons on their own are not always the best way to express what each option means. Sometimes you might want to provide users with a picture along with the option to give them a better idea of the option they are selecting (e.g. restaurant menu). Within this input UI, you can create cards (like the ones shown above) and give them an image, title, description and footer text. To use this UI, open the gambit within which you want to use it. By default we start you off with one card. You can change the image url, heading description and footer. You can add more cards by clicking the Add card button. 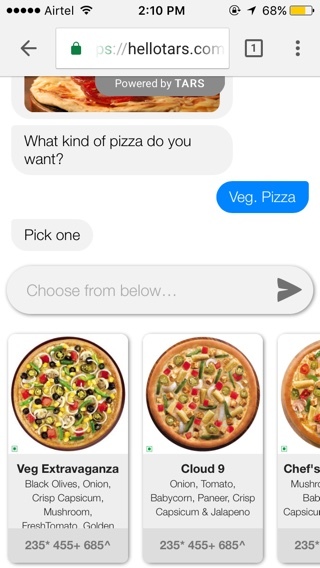 Send on tap– when this setting is turned on and a user taps the card within the chat, the selected option is sent instantly as opposed to the user having to press the card and then press "Send arrow" to send the selected option. Optional input- Users are given the option not to give input in this gambit. 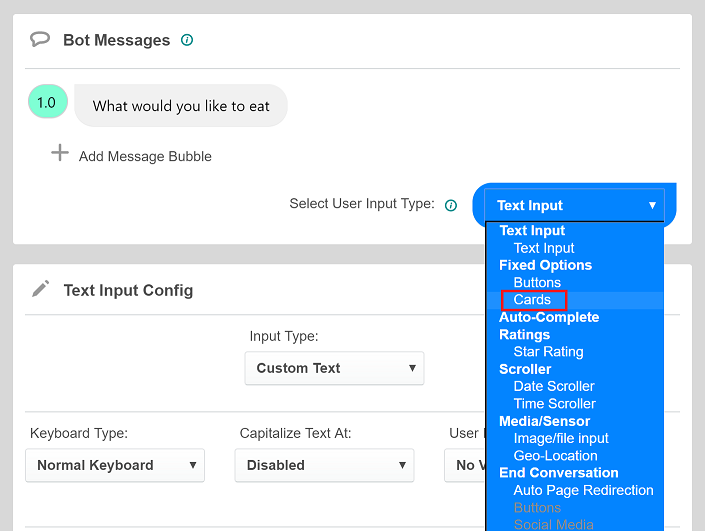 Multiple Input- When this option is switched on, users will be allowed to send multiple buttons before moving on in the conversation. Branching – When more than one image cards are provided and this option is switched on, bot creators can redirect the conversation flow based on the the image card the user selects.